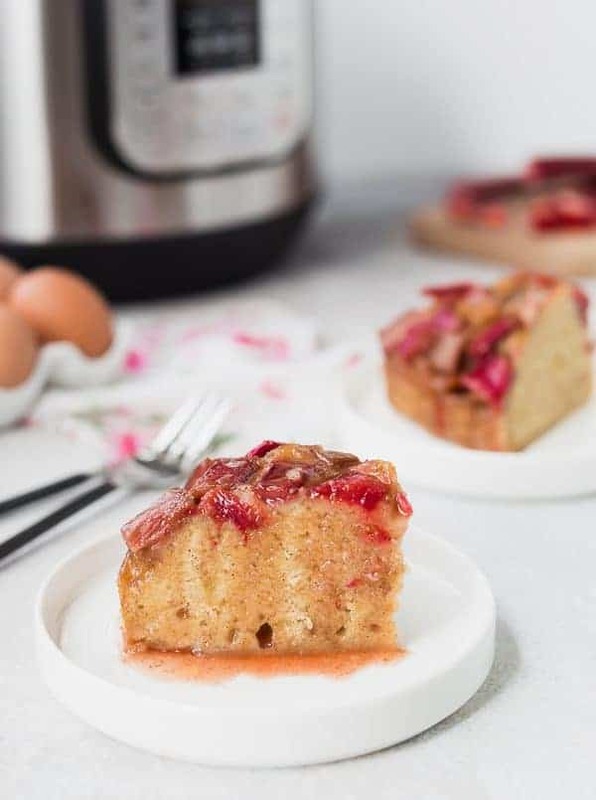 Rhubarb Instant Pot Cake became an instant favorite in our family and I know you’re going to love it too! Ultra-moist and super flavorful, it’s easy to make and even easier to eat. If rhubarb isn’t in season, it would be terrific with apples, too! I eat at least two eggs a day, every day. Boiled, scrambled, poached, fried…I love them any way they’re served. People have commented many times about how many cartons of eggs they see when they open our fridge. When Nellie’s® Free Range Eggs approached me about developing a few recipes with their eggs this year to share with you guys, it was pretty much a no-brainer. It’s a match made in egg heaven. Nellie’s Free Range Eggs are gorgeous! Each egg is a beautiful shade of brown ranging from light to dark brown and some are covered in beautiful speckles. They’re so pretty! When you crack them open, you find the vibrant yellow-orange yolk you’d expect from a free range egg. Nellie’s hens are all raised in a Certified Humane, free range environment. There are no cages and the hens have access to the outdoors so they can peck, play, and roam around in green grass. Their food is antibiotic-free and they have fresh water at all times. Sounds so fabulous, I might ask if I can move in! Even the batter of this cake is a beautiful yellow color thanks to the gorgeous yolks of these eggs. The taste doesn’t disappoint, either. 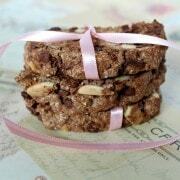 I’ll be sharing three recipes this year using Nellie’s Free Range Eggs. For the first recipe, they challenged me to create a springtime recipe using my Instant Pot. At that point, the only eggs I had ever made in pressure cooker were my Instant Pot boiled eggs (I make a dozen or more of these once a week! ), but I love a good challenge and I was excited to expand my repertoire of Instant Pot recipes and provide you with a fun new recipe. That brings us to Instant Pot Cake! I just adore rhubarb. I grew up eating it – my mom would cook it down into a sauce with some sugar and we’d eat it with spoons. Tart but sweet, it was a great springtime dessert. 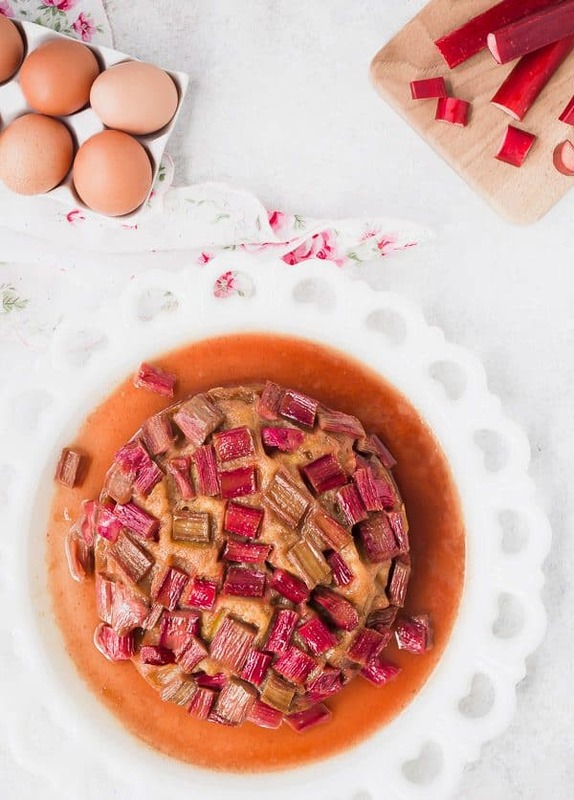 I loved that rhubarb sauce so much that it was one of the first recipes I posted on my site, as you can clearly tell if you click through that link – this little site of my has come quite a long way since 2011! 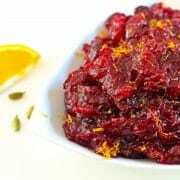 Tip: If you don’t love rhubarb (Ben doesn’t love it — I feel like it’s in the love-it-or-hate-it camp with cilantro and beets) or it’s not in season, try this recipe with apples! 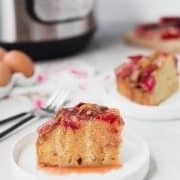 I paired rhubarb with cardamom in these rhubarb cardamom shortbread bars and I’ve been smitten with the combination ever since, so I brought the same combination into this cake. The unique taste of cardamom is difficult to describe, but it has a warm flavor with hints of citrus that goes great with other warm spices like cinnamon and nutmeg. It’s a pricier spice, but a little goes a long way and there really isn’t anything like it. In this Instant Pot cake, I used it in both the “topping” (in quotations because it starts off on the bottom!) and the cake base. Also included in the cake are warm cinnamon, freshly grated nutmeg, and vanilla extract. If you have a 6-quart Instant Pot, you’ll need a 7-inch cake pan to fit inside it. I bought this cake pan and it works perfectly! You bake the cake tightly covered with paper towel and foil to prevent steam from making it soggy. It bakes in just over an hour and you don’t have to heat up your oven – perfect for these warmer days we’ve been having! The cake is a dense, moist cake, sort of reminiscent of a great bread pudding. The rhubarb with the butter and brown sugar turns into a sauce that tastes a little like a rhubarb caramel. It’s perfect drizzled over the cake right before you serve a slice. This Instant Pot cake would also be great served with ice cream or whipped cream. Try making lightly sweetened homemade whipped cream with a touch of cardamom or cinnamon to perfectly complement this cake. 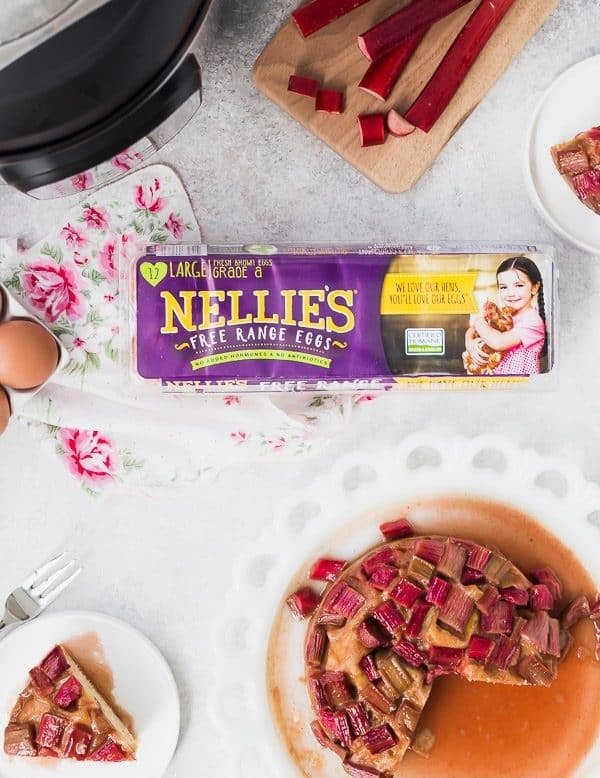 Learn more about Nellie’s Free Range Eggs and get more recipes on Facebook, Twitter, Pinterest, Instagram, and YouTube. Spray a 7-inch cake pan with nonstick cooking spray and line the bottom with parchment paper. Spray parchment paper with nonstick cooking spray, set aside. In a large mixing bowl, beat the butter until fluffy. Add sugar and beat again. Add Nellie’s Free Range Eggs and egg yolk and beat until fluffy. Add yogurt and vanilla extract and beat to combine. 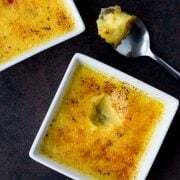 Add dry ingredients on top (flour, baking powder, cinnamon, salt, cardamom, nutmeg) and mix them together gently before beating them into the wet ingredients, scraping down sides as needed. Set aside while you make topping. Cover and turn valve to seal. Set Instant Pot to Manual, high pressure, for 60 minutes. When the timer goes off, let the Instant Pot naturally release for 10 minutes before doing a quick release and carefully removing the cake from the Instant Pot. Remove foil and paper towel and run a butter knife around the edges of the cake pan. Place a heat-safe plate that has a rim (not a cake stand!) over the cake pan. Holding the plate in place, carefully flip the plate and pan over. Slowly remove cake pan from cake. If rhubarb isn’t in season or you don’t like it, this recipe would also be delicious with apples. Note: If your cake pan is tall like mine, you can make aluminum foil “handles” for your steamer basket to make it easier to remove the pan when it is finished cooking. Wrap a double-thick piece of foil around the handles of the steamer tray to make them longer so you can use those to lift it out when it’s done cooking. Verdict: I adore this Instant Pot cake. It may have been the first cake I have made in my Instant Pot, but it will not be the last! Husband’s take: Like I mentioned, Ben isn’t a huge fan of rhubarb, but he loved this cake! I don’t think he ate all the pieces of the rhubarb, but he polished off the cake itself. Changes I would make: None are necessary, but I am looking forward to trying this with different types of fruit! 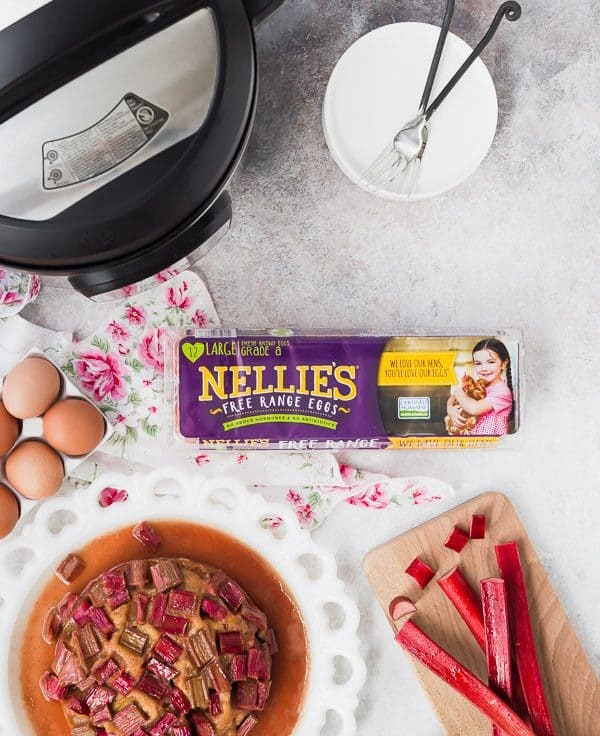 This content and recipe is in partnership with Nellie’s Free Range Eggs as one of their blogger ambassadors. I was compensated for my time but all opinions are, as always, my own. Thank you for supporting Rachel Cooks by reading about brands we use and love in our own home. Sponsored posts like these help me cover some of the expenses involved with keeping this site free for you to use! I made this cake last night with frozen rhubarb I was gifted. It is very tasty but super-dense, almost like a Chinese moon cake!I used a spring-form 7″ pan and found it raw in the middle after 60min + 10 min NPR. I put it back in for 15min +10NPR and it’s fine.If using frozen rhubarb, be sure to defrost and drain off the extra liquid before mixing the topping.My first IP dessert so I don’t know of they are all this dense. Hi! Thanks for the comment! I’m glad you liked it…I think all IP desserts are likely more on the dense side due to the nature of the cooking process. Thanks for the tips about using frozen rhubarb! 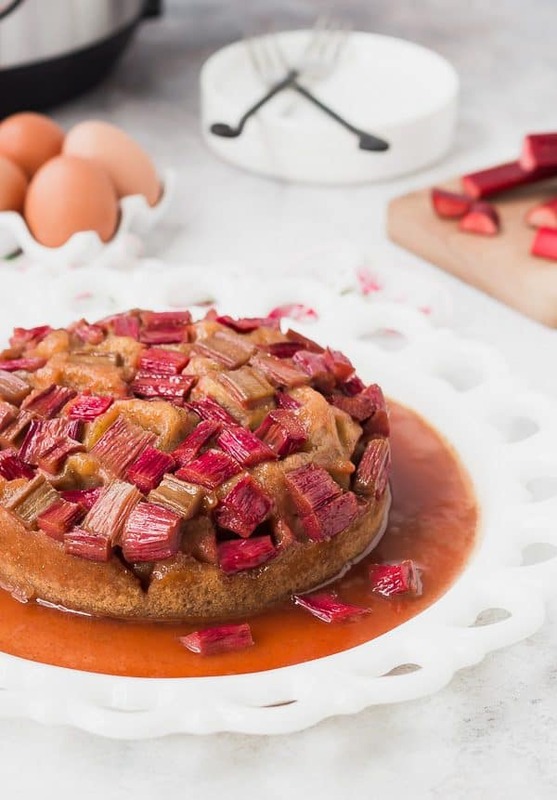 Has anyone tried frozen rhubarb? 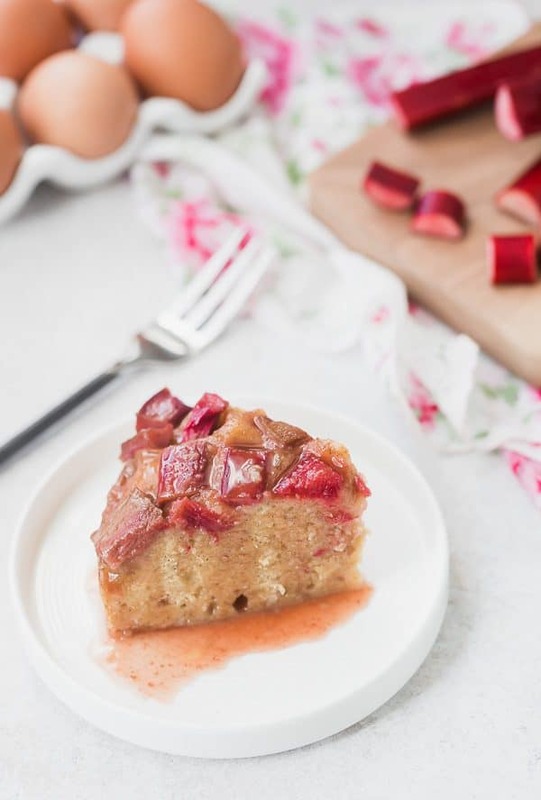 I have such a soft spot for rhubarb and LOVE that you made this cake in the instant pot! Brilliant! I’ve tested this cake multiple times and it’s always fully cooked! Are you sure you had the valve turned to seal and not vent, and was the cover securely latched on? Hi Rachel, I don’t have an instant pot. Can you provide directions for baking in oven? I have not tried this in the oven, but I anticipate it would take about 45 minutes to an hour in an 8- or 9-inch round cake pan at 350 degrees. I haven’t tested it, so I can’t make promises, but that’s where I would start if I were trying it out. Bake it uncovered (no paper towel or foil). Please let me know if you give it a try! Thank you Rachel! Yes, I will let you know how it turns out!! 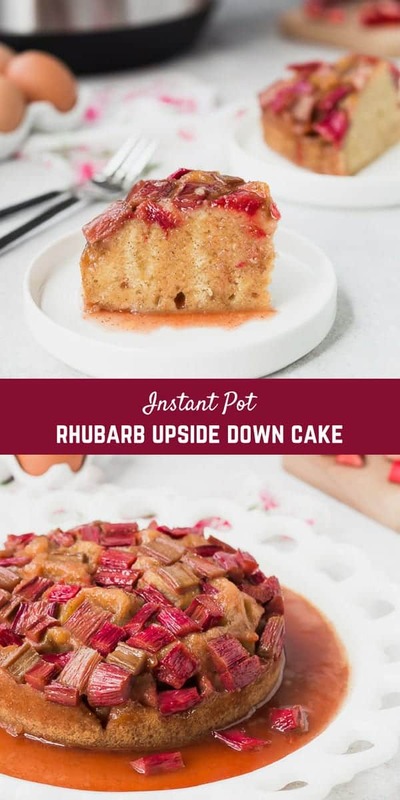 I still haven’t made a dessert in my Instant Pot, but am thinking this would be perfect for Father’s Day because my husband ADORES rhubarb. Great idea, Rachel! This cakes look amazing! I’ll have to break out my Instant Pot and give this recipe a try. I hope you love it! It’s so nice to not heat up the whole house with the oven on. This cake is really yummy. Very moist. This looks AMAZING, Rachel! And I love that you made it in the Instant Pot!